On September 3, Perry Wolff screened his final documentary at the Belmont Village in Westwood. He moved to Lake Oswego, Portland on September 28. We will miss him. 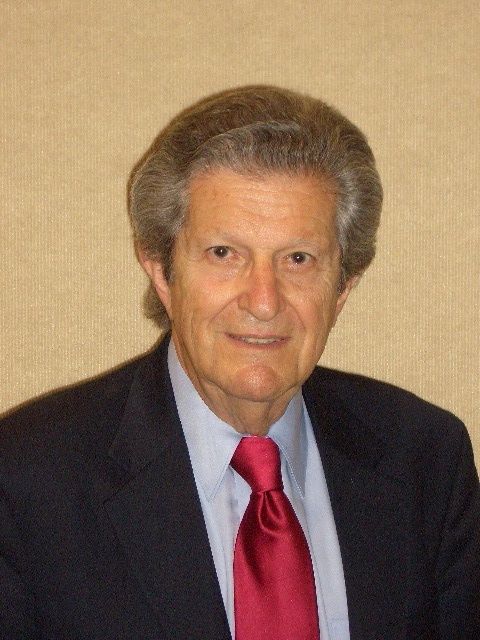 Perry Wolff won numerous Emmy and Peabody Awards during a long career as an executive producer for ”CBS Reports” and other news programs, but after he retired from CBS news, he made a series of art films for public broadcasting, including Images of Jesus, which won the Religious Broadcast of the year award, Michelangelo Restored, The Impressionists, van Gogh, Picasso, and An Essay on Matisse, which was nominated for an Oscar in 1996. In all he received fifteen Emmy awards and fourteen Peabody Awards, as well as numerous Writers Guild, Du Pont and Polk awards. 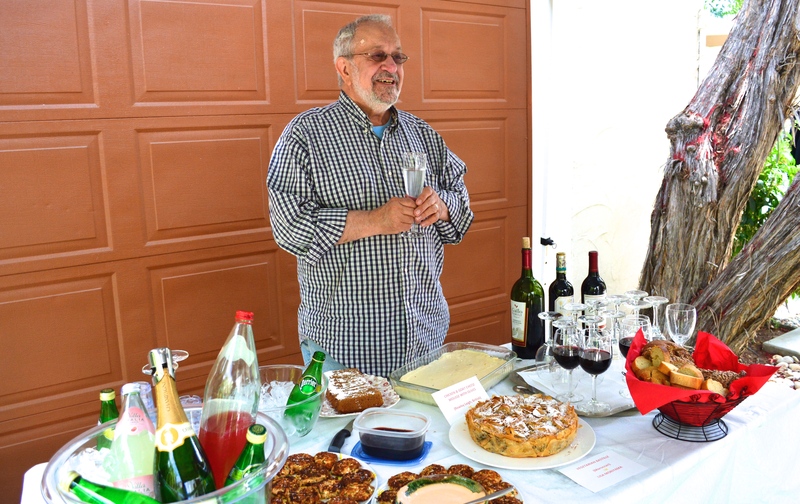 Instructor Carlo Coppola led an enthusiastic group through his spring course, Four Must-Reads for the Serious (or Not-So-Serious) Foodie, Part II. This course is a lively inquiry into food history through the eyes of Margaret Visser in Rituals of Dinner, Stewart Allen’s In the Devil’s Garden, Bee Wilson’s Consider the Fork and William Sitwell’s AHistory of Food in 100 Recipes. Storytelling and historical reflection are shared by Coppola as he organizes the vast information presented into bitesized, easily digestible pieces. 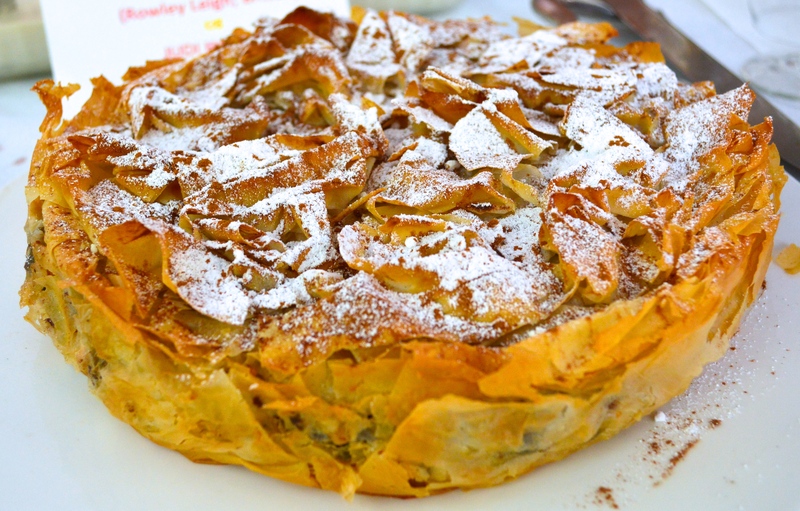 Field trips include a tour of LACMA to view art celebrating food and feasting, while the conclusion of the course was marked with a fete including recipes prepared by the students from the Sitwell book. The beautiful garden setting shared by one of the participants was the perfect back drop. 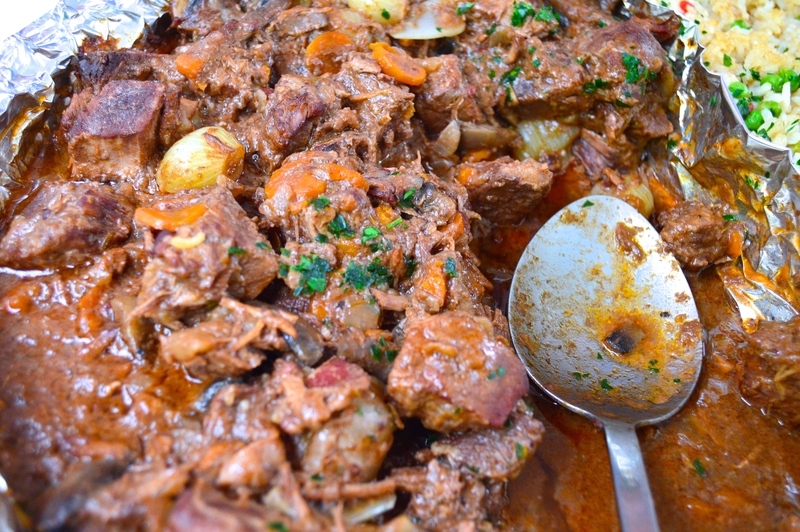 Students each took on a dish from the menu pulled together by Coppola, who himself tackled Julia Child’s boeuf bourguignon. Those looking for an interactive, hands-on history of culture and cuisine will find Coppola’s knowledge, passion and dedication to the topic an educational and enjoyable banquet. An estimated 400,000 prisoners at Auschwitz, both Jewish or non-Jewish, were tattooed with serial numbers, first on their chests and then their left arms; only some several thousand survivors are still alive today. This beautiful and moving documentary tells the personal stories of Auschwitz survivors now living in Israel, and the meaning their tattoos took on in the years following the war – for themselves and, recently, for their grandchildren. Numbered explores the phenomenon in Israel of grandchildren of survivors having their grandparents’ numbers tattooed on their own arms to preserve the memory of their relatives and as witnesses to history. Guided by testimonies and portraits of these survivors and their families, the film’s protagonist is the number itself, as it evolves and becomes both a personal and collective symbol from 1940 to today. Cost: This event is free and open to the public. RSVP requested. Come Meet Our International Students! 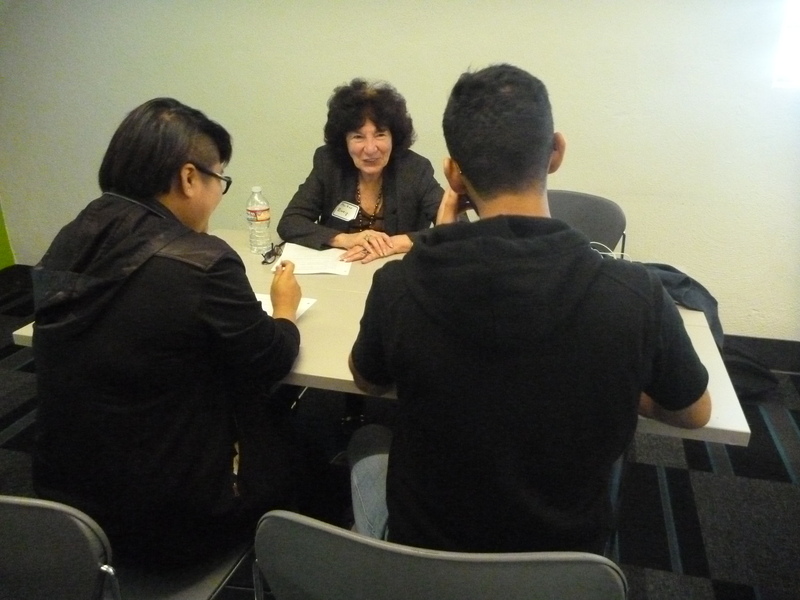 April 7, 1:15p-3p, 1145 Gayley Center, 114, Reg #257-680. The theme is family! 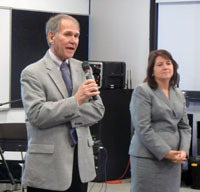 May 5, 1:15p-3p, 1145 Gayley Center, 114, Reg #257-681. The theme is travel! 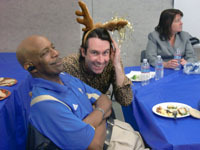 June 4, 1:15p-3p, 1145 Gayley Center, 114, Reg #257-682. The theme is hobbies! 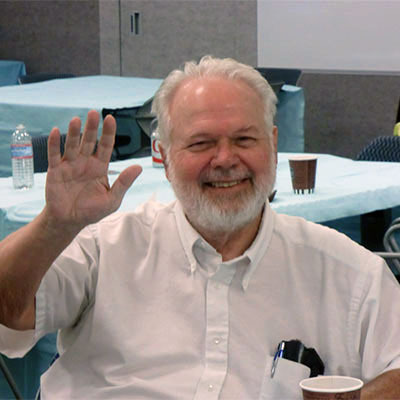 OLLI members interested in meeting international students for intercultural discussion can arrange group exchanges through Bob Baldwin, Academic Advisor at the American Language Center (ALC), UCLA Extension. 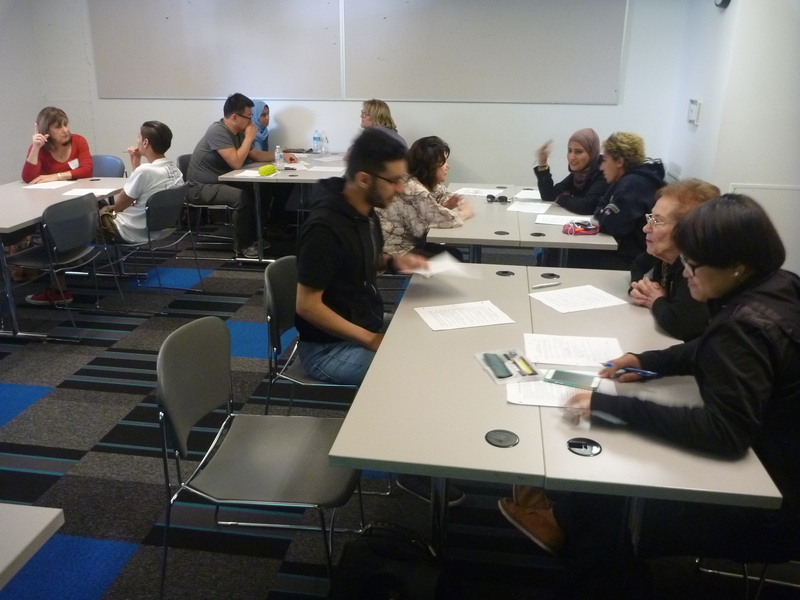 Mixers consist of 10 – 15 international students who meet with an equal number of OLLI members. 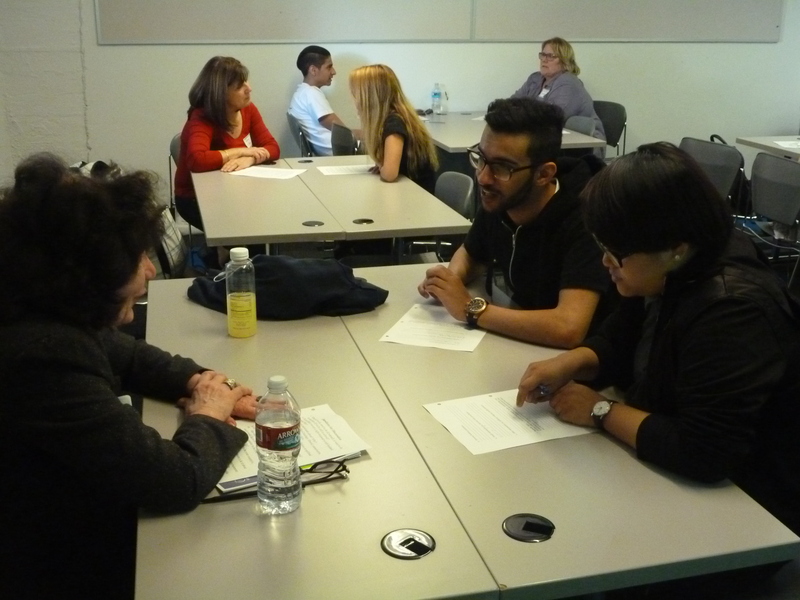 Mixers are conducted like a “speed-dating” session, with pairs (consisting of one OLLI member and one ALC student) meeting for 10 minutes per pairing. Questions are provided, but participants are free to talk about anything they like. 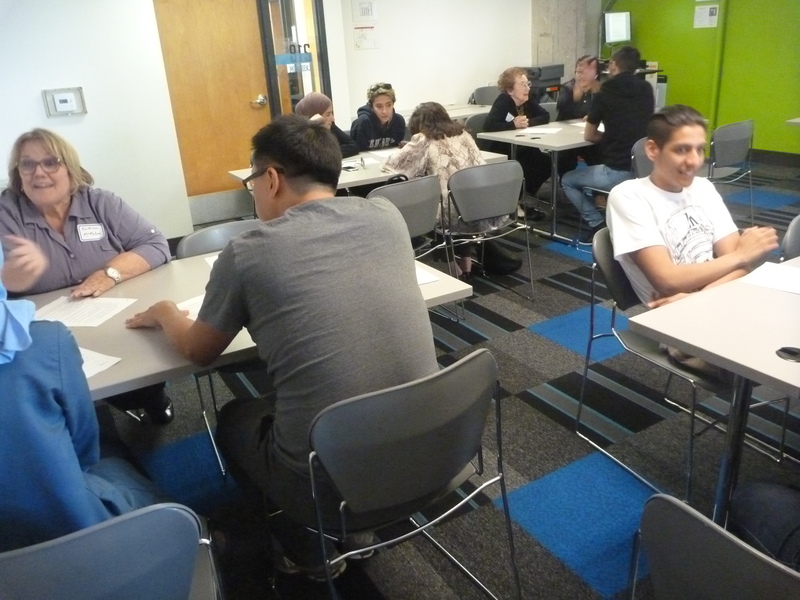 Mixers can be English-only or bilingual (subject to there being sufficient numbers of ALC students who speak a language which OLLI members wish to practice). For further information, contact Bob at rbaldwin@unex.ucla.edu or (310) 794-2714. 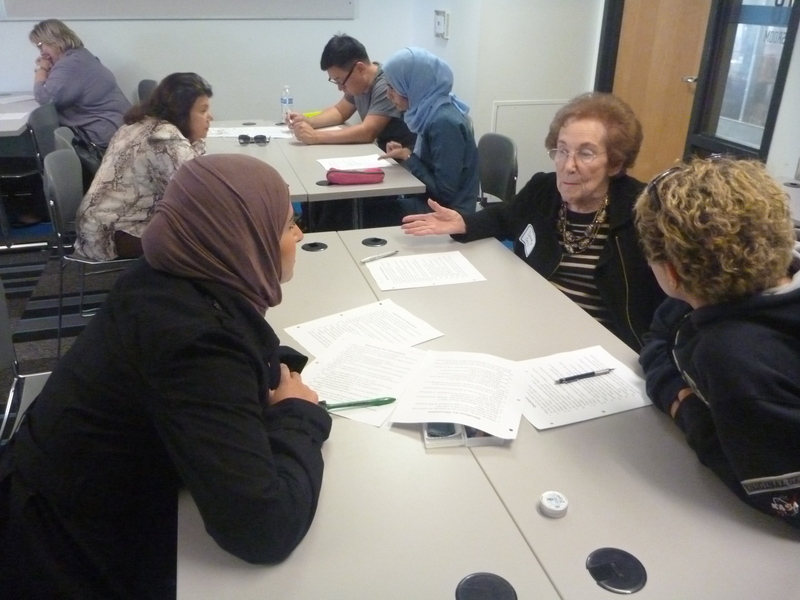 The LPP, which has been in operation for over 25 years, provides the opportunity for members of the UCLA and local community to meet international students enrolled at the American Language Center (ALC), UCLA Extension, to improve participants’ language skills and intercultural awareness. The LPP is a completely voluntary program, with participants meeting at times and in public locations based on mutual convenience. 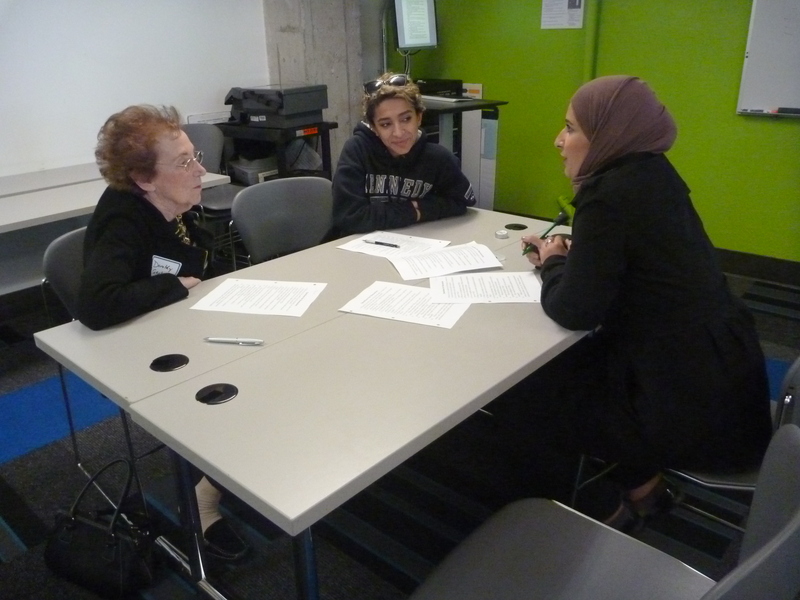 Exchanges can be bilingual (if OLLI participants want to practice a foreign language in exchange for an equal amount of English) or English only (for intercultural exchanges). 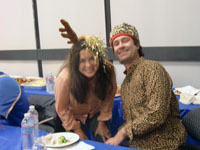 Most participants meet in pairs or small groups and engage in free conversation. Interested parties can contact Bob Baldwin, the ALC Academic Advisor, for an LPP application; once the application is submitted, he will then make the necessary match-ups and introductions. For further information, contact Bob at rbaldwin@unex.ucla.edu or (310) 794-2714. Frank Sinatra: More than Swagger. . . much more. This year marks the centennial of the birth of Frank Sinatra and soon the festivities will commence. By the time the actual birth date comes up on December 12, we will be treated to all manner of testimonials, articles, TV specials and, most surely, several more books to add to the existing imposing and impressive collection. And this is as it should be. 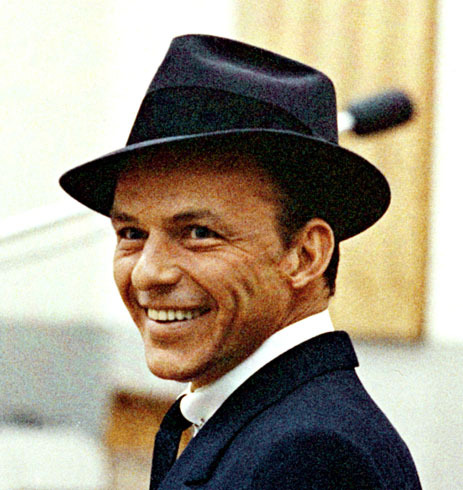 Probably no other entertainer – no other singer, surely – has left such an indelible mark on his times and, in fact, most certainly on times to come, if one is to judge by the playing time and references and, yes, homage accorded Sinatra since the day he left the stage on May 14, 1998. The 2,000 recorded titles made over a period that spanned seven decades will always be with us, and that was the legacy he wanted to leave us, since it was in the familiar and congenial setting of a recording studio with an orchestra and a handful of close friends that FS felt most comfortable. The word, which will pop up again and again as the tributes pour forth, is “swagger”, as if this one aspect of a complex personality and a unique singing style was the most important thing that both defined him and separated him from his contemporaries. Nothing could be further from the truth. “Swagger” is a comparatively new addition to the Sinatra mystique, reaching its largest audience, no doubt, when Bono, the lead singer of the rock band U2, presented the long overdue Legend Award for Lifetime Achievement at the 1994 Grammy Awards, and proclaimed that “Rock ‘n’ roll people love Frank Sinatra because Frank Sinatra has got what we want: swagger and attitude. Bad attitude. I’m not going to mess with him – are you?” Regrettably, this image of arrogance and menace – and isn’t that what “swagger” and “bad attitude” convey?’ – has clung to Sinatra and, being the savvy showman that he was, Sinatra preferred to let it go at that while performing deeds of kindness and compassion privately. But the point is that so much of why Sinatra was different and why he matters is obscured by making “swagger” the key if not, sole, reason why his body of work continues to be celebrated. Pete Hamill, in his excellent essay, Why Sinatra Matters, published just months after the singer’s death, suggested that a singer’s talent should be measured against four criteria: Voice, Diction, Taste and Attitude. Sinatra scores high on the first two. His voice, pristine during the 1940’s and ‘50’s and burnished but still quite beautiful in the ‘60’s and into the ‘70’s possessed a solid technique which never deserted him; his ability to replace his Hoboken, New Jersey inspired diction with one which was impeccable in its clarity and projection is legendary. It was in taste and attitude, however, where Sinatra separated himself from the many other successful and admired singers of the period. In these two crucial areas he was off the charts – unparalleled. I submit that a nearly infallible musical Taste was the bedrock of Sinatra’s artistry. While Sinatra never lacked an appreciation of his own gifts – here’s that word “attitude” again, but more of that in a bit – he knew from the start, after working with the Harry James and Tommy Dorsey bands that his different style of singing could only be truly appreciated if backed by orchestrations of the highest caliber. If his voice and way with words were the jewels, a worthy setting was required to show them and the songs off to the best advantage. His taste in selecting arrangers to work with him was uncanny and the scope and quality of his work is a testimony to his ability, to paraphrase the Bard of Avon, to suit the words to the music; the music to the words. Axel Stordahl during the Columbia years (1943-1952), Nelson Riddle, Gordon Jenkins and Billy May in the defining Capitol Records decade (1953-1962) and Johnny Mandel, Neil Hefti, Don Costa, Ernie Freeman, Quincy Jones, Robert Farnon and Claus Ogerman along with Riddle and Jenkins, when Sinatra recorded for Reprise Records (1960-1984) were his eager and indispensable collaborators and Sinatra never failed to give them credit when he appeared in the many concerts that formed the major part of his activities during the final twenty years of his life. His faith in them and his taste in choosing these gifted musicians, was justified time and again. His interpretation of songs was guided by two principles: Less is More and Content dictates Form. Unlike many performers who are over the top, embellish, try to overwhelm, Sinatra, especially in the ballads, was restrained and understated. You had to listen carefully and, in so doing, were drawn into the music and, most important, the message and could respond empathetically to the story he was telling us. 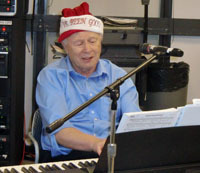 Even upbeat songs were more an invitation to join in the fun than to simply observe someone having a good time. By his giving “less”, we were able to enjoy it “more”. It was a total commitment to the lyrics and their meaning that informed his decisions regarding tempo and dynamics. The “content” of the song dictated the “form” he would give it. Because of his consummate taste, he made music into his own form of poetry and, in the process became our own 20th century troubadour. Attitude? Well, there’s little doubt that he wanted to be seen as a “tough guy”, especially after his career careened downward in the late 1940’s and he lost his agent, movie and recording contracts and had to “re-invent” himself. Often he would act out the role with an inexcusable relish. Thereafter, no one would ever mistake him for the shy, awkward, vulnerable “Frankie”, an image he projected at the start of his career. But this had nothing to do with his singing. “When I sing, I’m honest,” he often said and in those performing moments when he was probably most truly alive, his attitude changed with each song just as a good actor must play many parts. Sure, in some songs such as “Come Fly With Me” he had “swagger” but oh, what sensitive introspection he brought to “Here’s That Rainy Day”, and such exposed need and longing in “I’m a Fool to Want You.” Frank Sinatra wore many masks and played many roles; his “attitude” was ever-changing but his supreme good “taste” was a constant. Because he was an accomplished actor when he sang, he transferred this talent to some but not all of his movies. To see his “Less is More” and “Content dictates Form” in action, check out the scene on a train when he meets Janet Leigh for the first time in “The Manchurian Candidate.” While the quantity (and some of the quality) of his film work is impressive and his personal appearances always attracted a large and enthusiastic audience, it is his studio recordings that best display the unique, often overwhelming, combination of Voice, Diction, Taste and Attitude that make Frank Sinatra an artist for the ages. A man of many inconsistencies – – but, in his art, never a lack of taste. Happy Birthday, Frank . . . and many more. 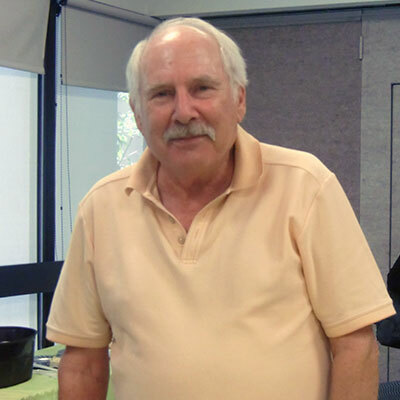 Earl Schub began teaching at The Osher Institute at UCLA Extension in 2006 and has never lost his sense of joy at sharing his experiences and insights with large classes of men and women who share his love of the human singing voice whether in opera or the popular field. 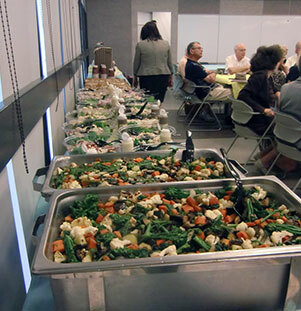 On December 5, OLLI members were offered the opportunity to feast in celebration of the upcoming holidays with other members and staff. 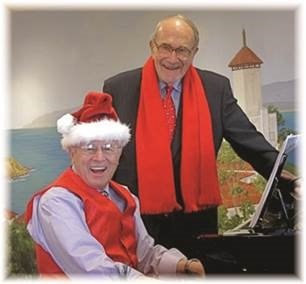 During the lunch there were prizes and holiday music from “The Golden Age of American Popular Music” with Saul Jacobs and Bob Lipson. 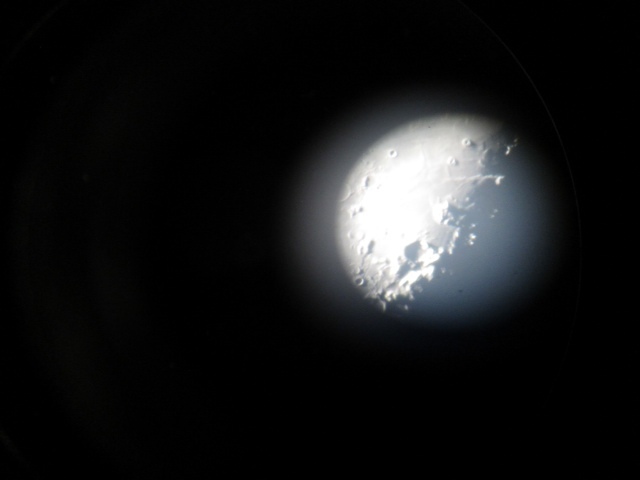 Photo of the Moon taken on a camera and placed on the eyepiece of the 60″ telescope. Photo by Janet Greene. 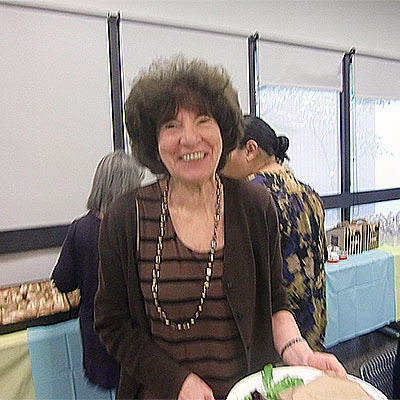 OLLI members enrolled in Seeing Is Believing: Mars, the Moon, and Stars enjoyed a special treat on Saturday, January 7. They were taken by chartered bus to the top of the Angeles Crest Forest to look through the 60-inch telescope at the Mt. Wilson Observatory, considered the birthplace of modern astronomy. Highlights included craters on the Moon, globular clusters, planetary nebulae, and stars and the grand finale — Saturn and its rings. Luckily for us, the Session Director of the Mt. 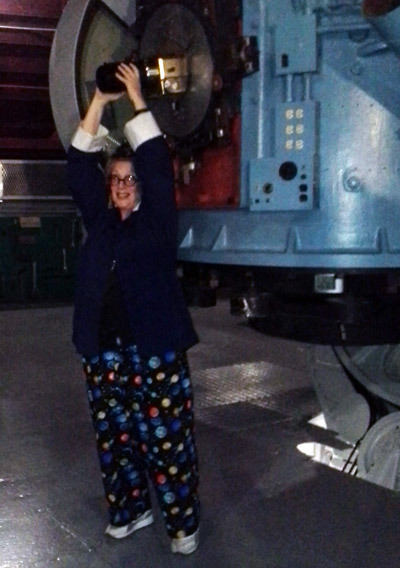 Wilson Observatory 60-inch telescope happens to also be the instructor of this annual OLLI course. It was low risk to take a class in astronomy for the first time. Am I delighted that I did! I had no idea how meaningful it would be and expand my own limited universe. Mt. Wilson made me feel so much more intimate with the skies. It was a connection that gave me a whole new appreciation and curiosity for something that I never had expected to encounter in my life. Shelley Bonus’s teaching style is inclusive, entertaining and rich with opportunities to ask questions, no matter how elementary. She makes learning FUN! The trip to Mt. Wilson gave new meaning to “special”! Now I know what an “out of this world” experience is. It raised so many philosophical issues for me that will give me lots to think about in the coming years. 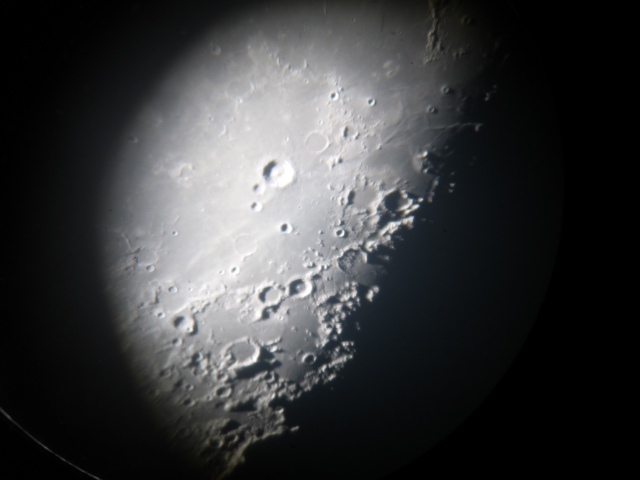 The class was followed by an incredible field trip to the Mount Wilson Observatory for a night of star and moon gazing. It was an experience that should be on everyone’s bucket list. If all instructors had the dynamic presentation and informed and informative content as was delivered by Shelley Bonus, there would be no drop out rate and all places of learning would be overflowing. There is room for discussion; all questions are considered. Exemplary! 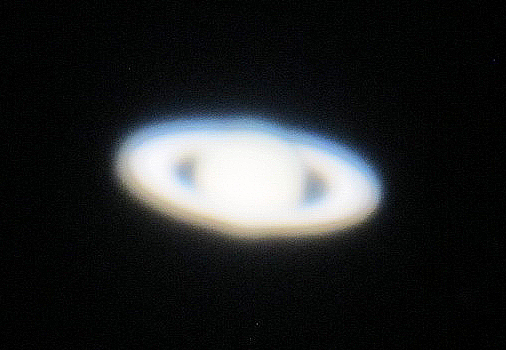 Saturn through the 60-inch telescope. Photo by Janet Greene. 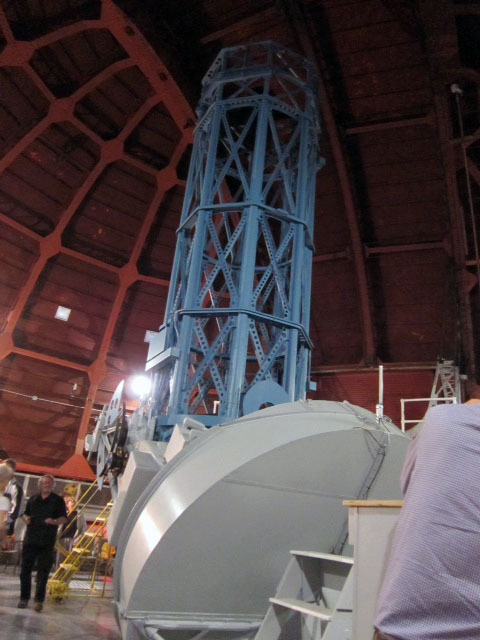 The 60-inch telescope inside the dome. Photo by Janet Greene. 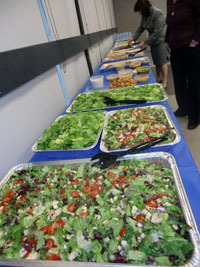 On June 9, OLLI members were treated to a free lunch. 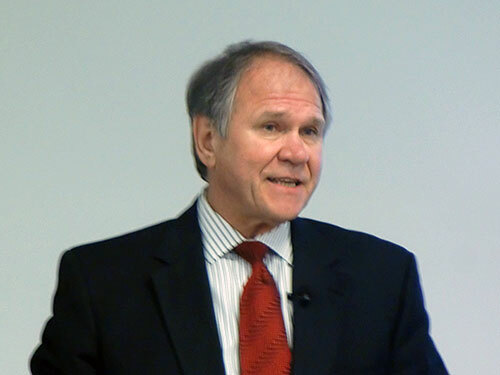 Wayne Smutz, the new Dean of UCLA Extension, gave a presentation on the state of education, his vision of UCLA Extension, and development opportunities for OLLI. 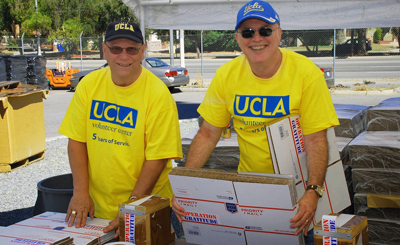 The UCLA Volunteer Center values providing service opportunities to all members of the community. Please check out their new Retiree Opportunities List, a curated collection of service opportunities geared specifically towards retirees. 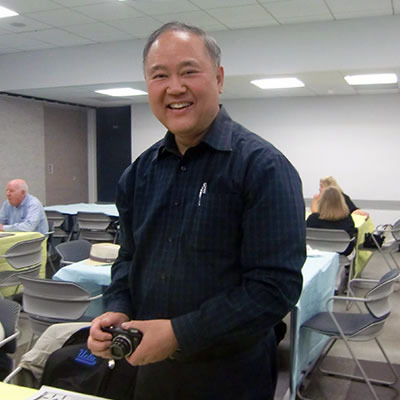 These opportunities are fun and exciting ways in which retirees can continue their involvement within local communities while using their lifetime experience, bringing wisdom and expertise to every project they participate in.